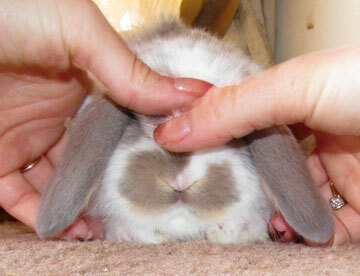 This page explains how to pose baby Mini Lops. 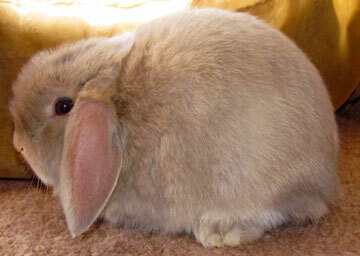 You can see the page for evaluating the body type of baby Mini Lops here. I pose and evaluate all my babies by myself. I've had quite a few years experience and so it has become quite easy. But, it can be challenging sometimes. 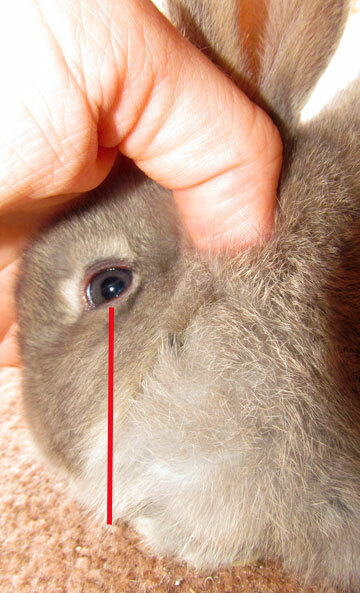 This shows how the tip of the front toes should be even with the eye, on a properly posed Mini Lop. 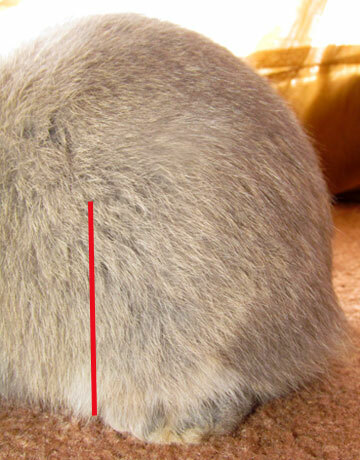 This shows how the tip of the back toes should be even with the front of the hip, on a properly posed Mini Lop. 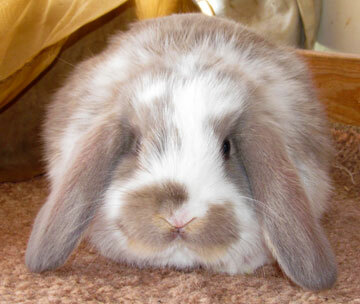 When posing a Mini Lop baby, the first thing I line up are the front feet. 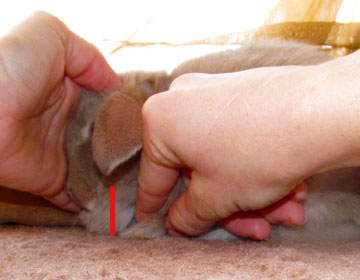 Once the front feet are inthe right position, I make sure the baby is comfortable & not tense and do as the following pictures show. 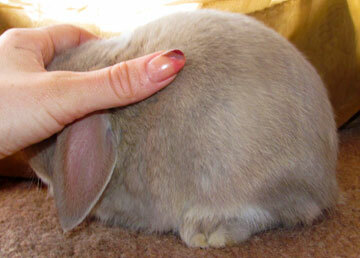 I rub my hand over the top of the baby. 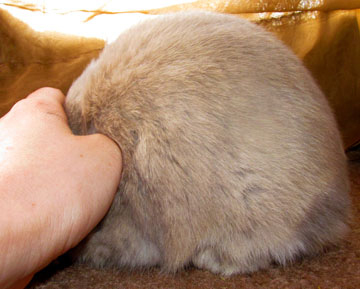 Continue to rub my hand over the baby and push the hindquarters forward so that the tip of his back feet are in line with the front of his hip. And then we have the final posed baby. Once the baby is posed and I've evaluated them with my hand on them to keep them still, I remove my hand to see the baby without my hand on them. When I want to evaluate the front of the baby, I position the feet under the eyes, as shown above, and then leave the baby sitting there. My babies will typically sit still for a few minutes.